Qetaifan Projects Company, a subsidiary of Katara Hospitality which was established to develop and manage Qetaifan Island North, has signed a memorandum of understanding with the Rixos Hotels to manage and operate the hotels, the souq, the water park and the beach club in the destination. Centara Hotels & Resorts has made its debut in Qatar with the launch of a spectacular new seaview hotel in Doha, the country’s rapidly expanding capital city. 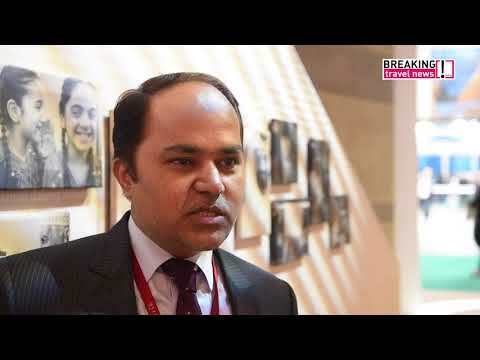 Having taken the title of World’s Leading Travel Agency at the World Travel Awards last year, Breaking Travel News here chats with Shafiq Nasiruddin, general manager of Regency Travel & Tours, about what the honour means to him. Speaking at World Travel Market in London he also tells us what the company offers to the fast-developing tourism sector in Qatar. Minor Hotels will open three new-build hotels in Qatar in spring 2018 under its Tivoli and Oaks brands. The three properties are owned by Katara Hospitality, a globally recognised hospitality owner, developer and operator. The St. Regis Doha has announced the appointment of Rebecca Platt as director of marketing. With over 15 years experience in the hospitality industry, Platt brings extensive marketing and digital knowledge to the property. Qatar Airways has sought to play down the impact of the deteriorating political situation in the Middle East on its operations. Gulf Air has confirmed the suspension of its multiple daily service between Bahrain and Doha until further notice. The move comes as Bahrain and a number of other Middle Eastern nations cut ties with Qatar. Five Middle Eastern countries have cut diplomatic ties with Qatar, accusing it of destabilising the region. The move has thrown regional aviation into chaos, with a number of routes suspended. Residents of Qatar can now apply for visas to Ireland at a centrally-located Visa Application Centre launched in Doha by the embassy of Ireland in partnership with VFS Global. Applicants can visit the centre to enrol their biometrics and submit visa applications in a modern and comfortable environment.